Jill attended Bridgewater State College for studies in Psychology and Biology. She is also a licensed cosmetologist from New England Hair Academy. She has been with The Khoury Centre since 2006 and thankfully we became her career choice. 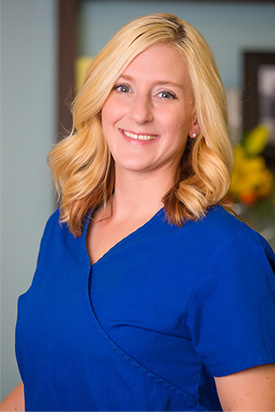 She’s not only a clinical chiropractic assistant but also manages our patient billing. Jill’s specialty is relating with patients needs and multitasking. She quickly became one of most valued assets. She stays fit with daily nature walks with her dogs and salads for lunch!